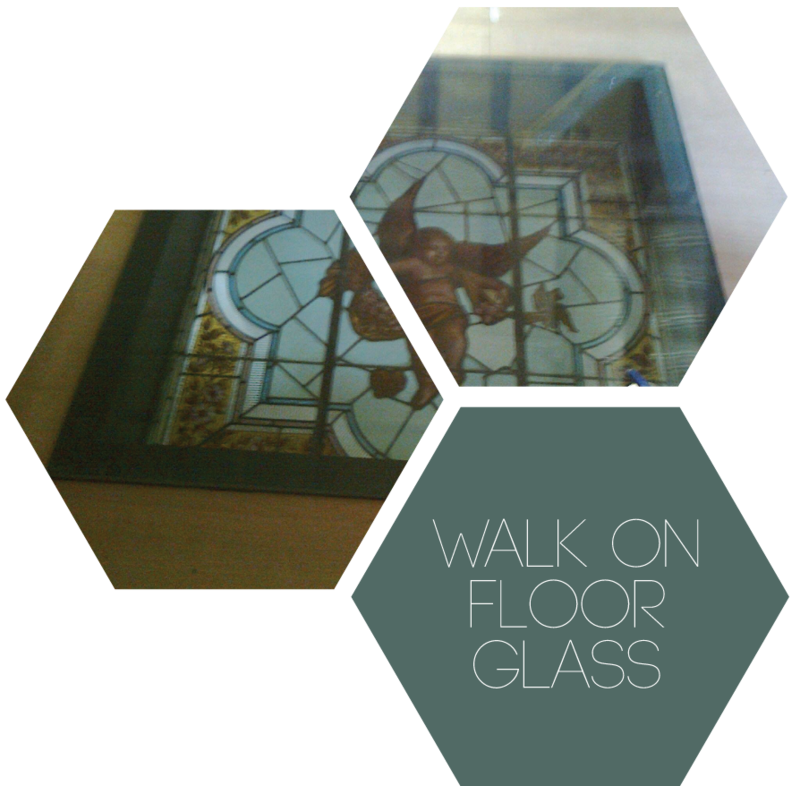 Walk on floor glass can be a stunning addition to any room or home. It has many purposes and uses. For example, it can be used externally in a garden to provide light into a basement room below. Alternatively, it can make a decorative feature in a floor. Safety and efficiency are vital considerations with walk on floor glass. With that in mind, Southern Toughening Glazing can double glaze our floor glass to provide thermal efficiency, and also apply sandblast frosting, which will give your glass a non-slip finish. We also offer other designs: talk to us for more information. Our toughened and laminated walk on floor glass is available in thicknesses ranging from 33mm to over 60mm compliant with British and European standards. We can provide walk-on glass in toughened clear float glass or low iron glass with sandblasted designs or we can use interlays to customise colour, textural appearance or add branding. For additional safety on internal or external structures our anti-slip toughened or laminated glass is the ideal material for creating attractive floors, bridges, walk ways and stair treads. Southern Toughening Glazing can process, shape or drill the anti-slip glass to fit your space perfectly or create purpose made constructions to your specifications. Tested to UK and European standards, the anti-slip glass comes in five tested patterns in 10mm or 12mm thick stock, or in sandblast designs applied to any thickness. If you require a bespoke design we have the capability to test it to anti-slip safety standards. For an eye catching and stand out effect use multi laminated anti-slip glass with Vanceva coloured interlays. A wide spectrum of colour is available.